A hardware Bitcoin wallet is a device that can store your crypto coins. It is a form of cold storage that can store your bitcoins offline, which makes it a unique medium. These wallets possess some of the safest qualities when it comes to storage. The difference between a hardware wallet and other Bitcoin wallets is can hold hardware wallets physically. The side and looks of these wallets resemble a flash drive. What you have to do is connect it to a computer or any mobile device if you want to access your bitcoins. If you’re all about security, then a hardware Bitcoin wallet should be on top of your list. 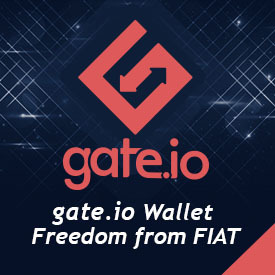 One thing you should know about this type of wallet is that it works well with those who want the extra security and convenience. A hardware Bitcoin wallet stores private keys away from the vulnerable world of the Internet. All of your important keys are secured in an offline environment that only you can access. Regardless if you plug the device in an infected computer, hardware wallets are more than capable of securing your bitcoins. In addition to the secure nature of a hardware Bitcoin wallet, another one of its benefits is the simplicity. There’s no need for you to learn anything complicated to know how to use this type of wallet. It is easy to backup and secure and there’s almost no room for error. Setting up your own hardware wallet takes no time at all. To use a hardware wallet, you have to connect it to a device with a USB port or scan a QR code, which then connects you to the Bitcoin network. This gives you access to your funds and allows you to send or receive bitcoins. The only downside to a hardware Bitcoin wallet is that you have to purchase one. However, if you store a large amount of bitcoins, getting one is a must. Some of the most popular hardware Bitcoin wallet brands are Ledger Nano S, Trezor, and KeepKey. You can check out more top names like Ledger HW.1 for your hardware wallet needs. Make sure that you stick to the well-known names so you know you get the best services. Understanding the qualities and the role of hardware wallets is important. Choose the best type of wallet suited to your requirements.